*denotes affiliate links. Images are also affiliate-linked. I found a treasure today! 🙂 Gena from I Choose Joy has been a wonderful supporter of what we do here at Enrichment Studies, and yesterday she opened up sales for something that is a wonderful addition to what we offer here! 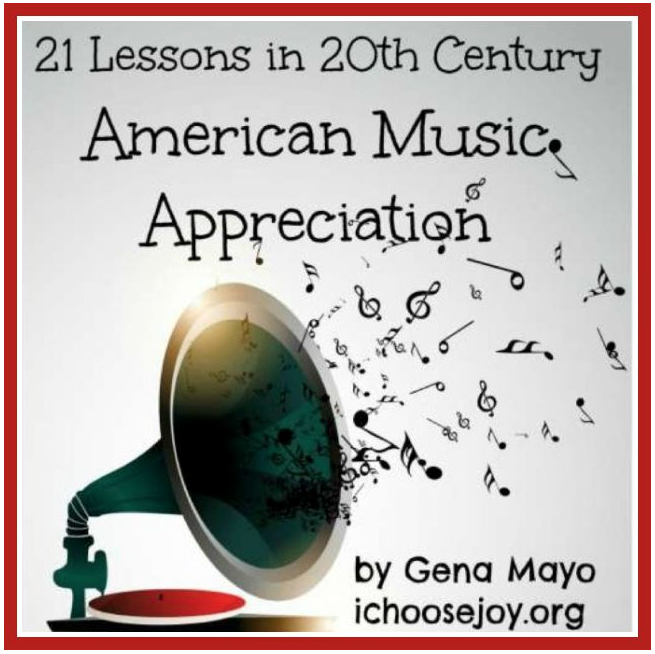 21 Lessons in 20th Century American Music Appreciation does a great job of guiding you through the massive musical development and changes that took place in the 1900s. This study includes Sousa marches, Ragtime, Blues, and Jazz, Opera, Big Band, Musical Theater, the start of Rock and Roll, and more! This program has each lesson simply laid out for you, with helpful links to youtube videos so you can easily share the music with your children. Notebooking pages are also included, as well as a helpful list of bibiographies. Gena shares her recommendations for utilizing this program in order to get a half credit for your high schoolers as well! Click on over to get this great study! I really think you will love it!